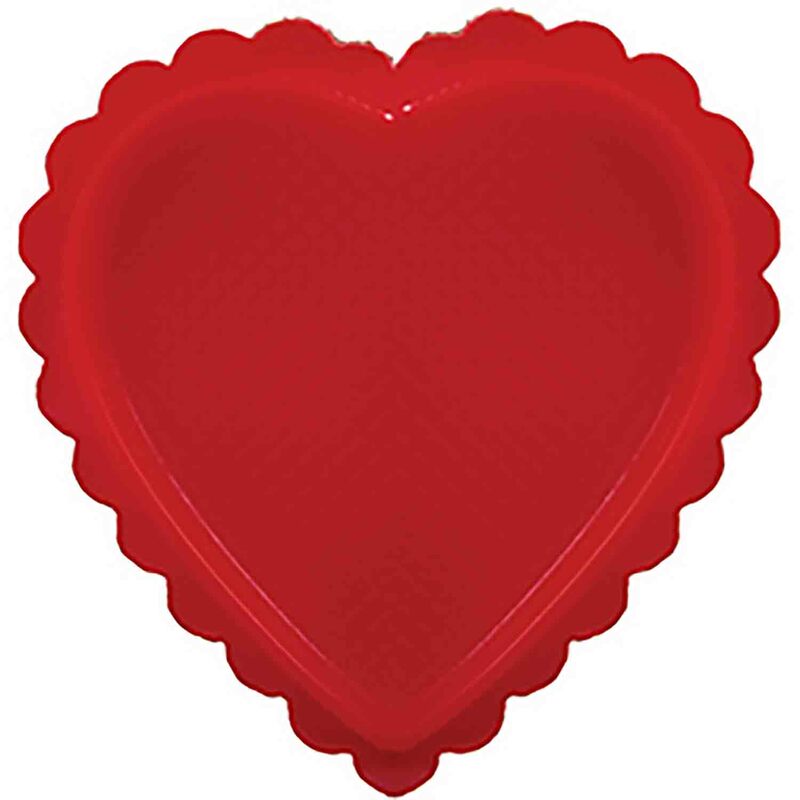 Outside dimensions: 7" wide x 7⅝" long x 1⅛" deep This heart shaped candy box is assembled. The red base will accept a direct pour of chocolate or cooled fudge. The base is made of plastic with a cardboard backing. The clear plastic lid is removable. This box is safe for fudges cooled to 240°F and below. This heart shaped candy box is assembled. The red base will accept a direct pour of chocolate or cooled fudge. The base is made of plastic with a cardboard backing. The clear plastic lid is removable.